The Community Players of Hobbs: Board Meeting & Congratulations! I would like to invite everyone to the Board Meeting on Tuesday, March 20th at 7:00 pm at the Playhouse! There are quite a few items on the agenda to be addressed and discussed. If you would like to be on the agenda for tomorrow, please send an email with your concern and we will get you added! The weekend was full of activity! Rehearsals are continuing for the production of Leading Ladies! 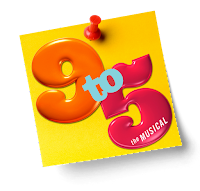 Our Spring musical, 9 to 5 held auditions starting on Friday, continuing on Saturday, and concluding on Sunday with call backs! Congratulations to the cast, it looks like it is going to be an amazing group! It was amazing to see all the familiar faces and new faces that were there! Below is the cast list for 9 to 5 from musical director Doug Levy! See you at the theater!!! Congratulations to the cast of 9 to 5! Thank you to everyone who auditioned. It was a hard decision as there were so many talented people. Rehearsals officially begin April 22nd at the Playhouse. Optional music rehearsals will be scheduled within the next week. If you would like to attend these, you are more than welcome to. With that being said, below is the cast. Leading Ladies Tickets On Sale Now!